Landscape lighting is a cost effective way to emphasize the nighttime exterior beauty of your home or business and the landscaping surrounding your property. If you’re like most of us, your home or business is one of the biggest investments you’ll ever make. More and more, people are finding that landscape lighting allows them to extend the enjoyment of their exterior spaces late into the evening hours. 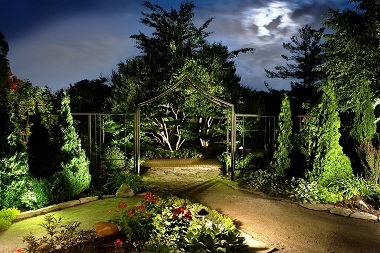 Properly designed landscape lighting not only provides a beautiful night-time scene, it can also provide a more secure setting around your home or business. With effective lighting shining on your home and its surroundings, you & your guest can safely walk through your property. Do you have dark areas around your property that causes a nighttime concern? These are perfect areas to light bright providing both security & peace of mind. Combining effective landscape lighting with “Smart Digital Timers” you have the flexibility to schedule individual lights or specific zones. At Coastal Outdoor Lighting we try to educate our customers on the 3 steps of landscape lighting decisions. Each of these 3 lighting options have unique benefits, including light output & operating cost. Your lighting design consultant can help you determine the best option for your needs. The key consideration when assessing landscape lighting is component durability. How long will components last given the SW Florida weather conditions throughout the year? Wind, rain, heat, and direct sun are just some of the questions to answer when deciding what lighting is right for your needs. Our preferred vendor status & volume purchasing with top rated landscape lighting manufacturers like FX Luminaire, Vista Pro & Universal Lighting Systems allows us to provide you with quality & durable components at great rates. Another key consideration, often overlooked, when planning your landscape lighting should be adaptability. Does your lighting plan allow for adequate flexibility in the system for easy re-positioning of lighting as your landscaping matures, grows or changes? Being able to move a fixture to the correct lighting position as bushes grow, or plants get re positioned, without needing to re-install part of the system, is an important consideration. 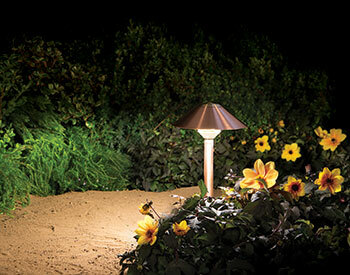 Landscape lighting like any product requires maintenance. Coastal Outdoor Lighting is one of the few companies in the area that offers affordable yearly maintenance plans. Our CoastalCare© maintenance program will insure your lighting will look its best at all times at the best possible price. With CoastalCare© you don’t need to worry about replacing burned out bulbs, cleaning lenses, trimming vegetation, adjusting fixture positioning or fixing minor electrical problems. 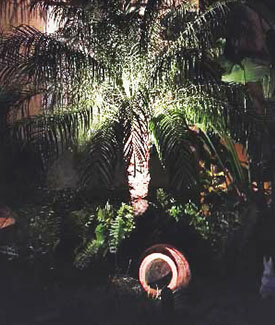 Lighting your landscaping bright in a beautiful way with the best suited components can be difficult. Coastal Outdoor Lighting has been professionally designing, installing and repairing landscape lighting in SW Florida since 2001. Our expertly trained designers can turn your building’s finest exterior features into an outdoor art exhibit. To schedule a “FREE” Onsite Consultation about landscape lighting for your home or business complete our online request form or for fastest response call (239) 491-6759.